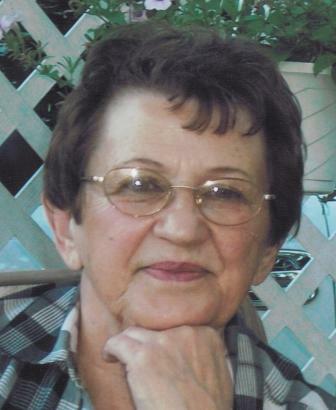 Patricia Murchie (nee Shymkowich) passed away peacefully in her sleep at Forest View Place, Dr. Helmcken Memorial Hospital, Clearwater BC, on January 29, 2017. She was 85 years of age. Born in New Westminster, BC on February 1, 1932, Pat is survived by her daughters Joellen (Bob), Cindy (Al) and Valerie (Audwin); son Orval (Wendy); 10 grandchildren and 12 great grandchildren. She was predeceased by her husband, Alf. Pat was raised in Queensborough, BC. In 1949, she married Alf Murchie and they began their life together in Port Coquitlam, BC. The family grew with the arrival of 3 daughters and one son in the decade of the 1950’s. Then in the 1970’s, grandchildren started arriving. Pat and Alf’s home in Port Coquitlam was a great gathering place for all these kids, friends and extended family. When Alf retired, a move to Nanaimo was made in 1992. They enjoyed a happy time for 10 years in Nanaimo until Alf’s passing away. Then in 2002, Pat made her final move to Clearwater. She has lived in this community for almost 15 years and has made many new friends here. Pat was loved by all who knew her. She will be missed so much by her family and many friends. A Memorial Service will take place at 2:00 p.m. on Saturday, February 4, 2017 at the Kingdom Hall of Jehovah’s Witnesses, 423 Hydro Rd., Clearwater, BC. Online condolences may be sent to DrakeCremation.com Rather than flowers, the family would appreciate donations to the Dr. Helmcken Memorial Hospital.